I was extremely lucky on day 2 to have a tour guide! This time was much more about catching up with Linden, a friend from Manchester who now lives in Hong Kong, and having a potter about, than manic site seeing. So no big camera but we did visit some nice spots north of Kowloon getting away from the crazy tourist areas. 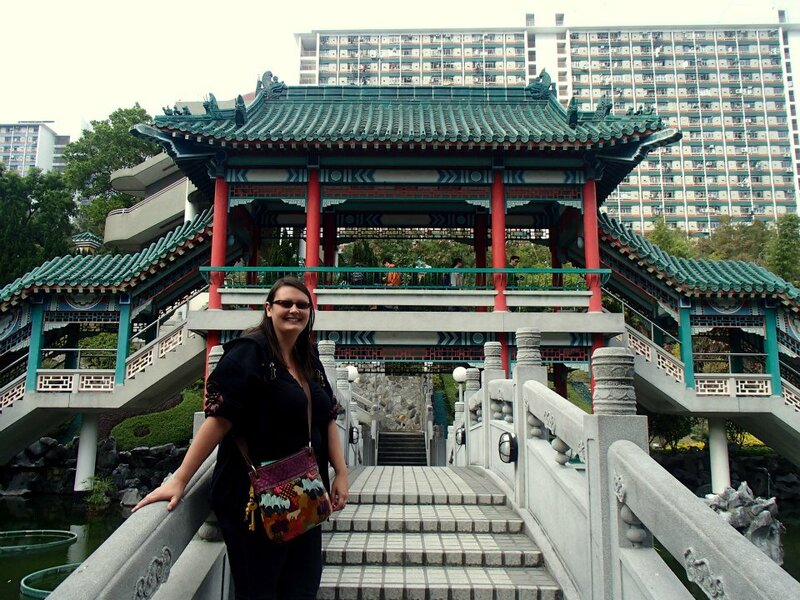 This is Wong Tai Sin temple. With it's zodiac Buddha's like I also saw at Lantau. And then a beautiful wish garden (thanks Linden for the picture). After the temple we walked to Kowloon Walled City Park. On the way we got a clear (as clear as hazy Hong Kong gets) view of 'lion rock'. Today it's a lovely park with some cos play going on while we were there! I couldn't help myself taking photos that show the full height of surrounding skyscrapers, the whole of Hong Kong was like this. With some time to kill before meeting up with Linden's fiancée she showed me the longest outdoor escalators located around the Soho area. We did not travel anywhere near the whole way, it gets a bit ridiculous after a while! And stopped for drinks instead. Do you see the tube sign! The Soho area is full of ex-pats! And that was about it for day 2. On day 3 I go to Macau.